Hydrate sun-exposed skin quickly and effectively, and prolong your tan, with this light, easily absorbed After Sun cream. We all know the feeling of having been out in the sun all day, our skin can feel a bit tight and dry and sometimes even a little sore. 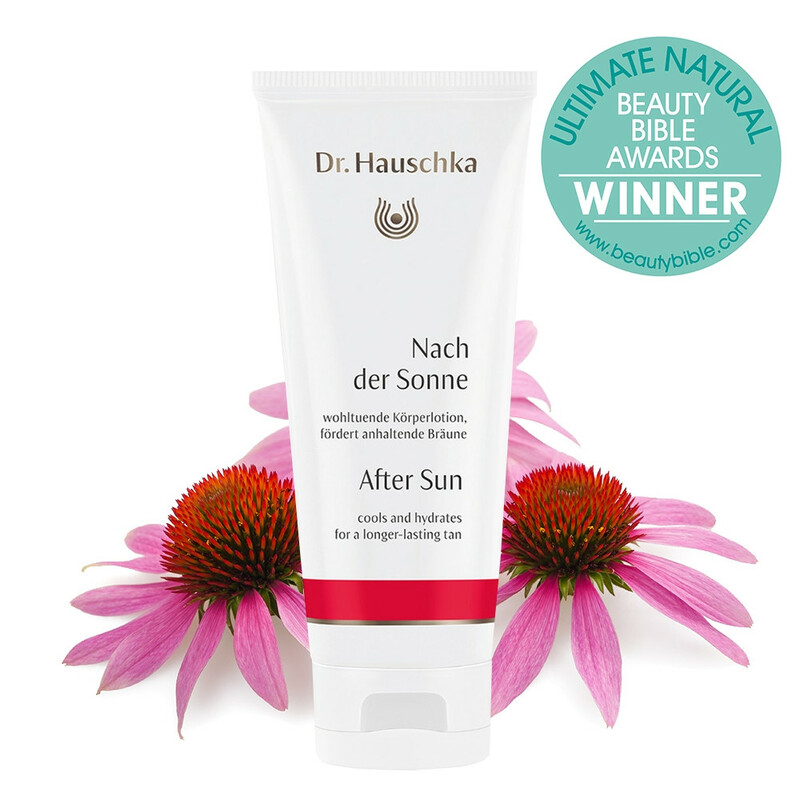 Dr Hauschka’s After Sun will quickly and effectively cool and re-hydrate the skin, relaxing it, and leaving it feeling restored. With regular use this quickly absorbed After Sun will also prolong your tan. Packed with antioxidant-rich ingredients including Carrot and Rosehip, and moisture-rich Marigold and Shea Butter, this is nutrition for your skin! Organic plant-based moisturisers are fantastic for your skin, providing just the right levels of protection and nourishment; they penetrate the surface, hydrating deep down for lasting protection. Application: Apply After Sun liberally to your skin after sun exposure. Tip: Get your skin sun-ready with the ultimate exfoliation from Eco by Sonya’s Organic & Natural Pink Himalayan Salt Scrub. Matching Products: Revitalising Mask by Dr Hauschka will quench the skin after a day in the sun! Ingredients: Water (Aqua), Rosa Canina Fruit Extract, Pyrus Cydonia Seed Extract, Alcohol, Glycerin, Prunus Amygdalus Dulcis (Sweet Almond) Oil, Butyrospermum Parkii (Shea) Butter, Daucus Carota Sativa (Carrot) Root Extract, Mesembryanthemum Crystallinum Extract, Anthyllis Vulneraria Extract, Prunus Armeniaca (Apricot) Kernel Oil, Calendula Officinalis Flower Extract, Cetearyl Alcohol, Hectorite, Beeswax (Cera Alba), Rosa Damascena Flower Wax, Lysolecithin, Simmondsia Chinensis (Jojoba) Seed Oil, Xanthan Gum, Fragrance (Parfum)*, Linalool*, Citral*, Citronellol*, Limonene*, Geraniol*, Farnesol*, Benzyl Benzoate*, Eugenol*, Benzyl Salicylate*, Propolis Wax.